I've been wanting to put a giveaway together for awhile now (BECAUSE YOU GUYS ROCK)! And finally, it's complete! Everyone has been AMAZING supporters to me and my business, and I wanted to say thank you. Thank you to everyone who has said an encouraging word, followed along with me, or even simply liked a post. You all matter. 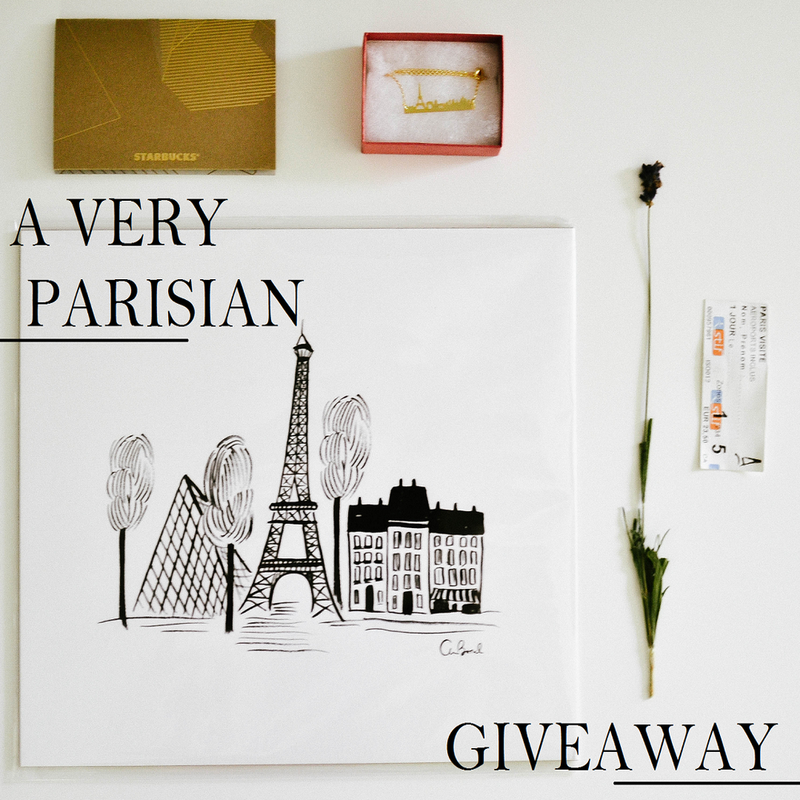 This giveaway is inspired by Paris. (No, duh? Right.) I was there this past June, and it was a dream. Seeing the Eiffel tower and the Louvre in person was unimaginable. So I wanted to tie that along in my giveaway. A PARIS SKETCH FROM RIFLE PAPER CO. Thank you to everyone who enters! Sadly, this giveaway is only open to those living in The US. The giveaway ends August 22nd at midnight!